League One side Wigan Athletic have announced a loss of £3.9m for 2015, their first for four years. The Latics made a profit of £2.6m in 2014, but were relegated from the Championship last season. Turnover decreased from £37m to £28 because of a reduction in Premier League parachute payments, no Europa League football and a smaller income from the FA Cup. 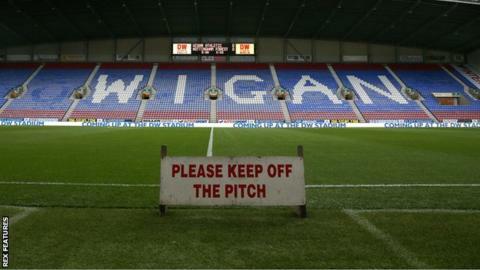 The results mean that Wigan's net debt has increased to £13.3m. Dave Whelan resigned as chairman in March, with the role passing to his grandson David Sharpe, but he remains the owner of the club. "The continued financial support of the Whelan family has allowed the club to continue pursuing long-term strategic goals," chief executive Jonathan Jackson told the club website. "Although the financial results for the year mirrored the disappointments on the field, the owners remain committed to developing and improving Wigan Athletic to enable the club to return to the highest level of English football."